Moji Moji, which uses creative storytelling and vivid visuals to teach ABCs, phonics, and spelling to children ages three to five, is now available for iPad exclusively in the App Store. 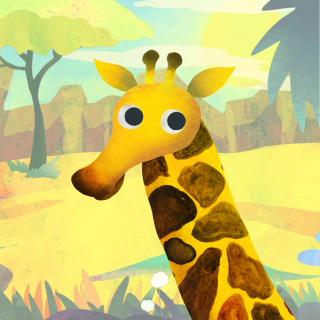 Created with input from parents and educators around the world, the app combines a uniquely compelling visual style with a rigorous approach to literacy education, providing parents with a detailed dashboard that helps them track their child's progress. "Technology is helping to bridge the early learning divide in classrooms, allowing more students to enter kindergarten with confidence and eagerness to learn," said Chris Boardman, Director of Digital Products for Gakko. "What makes Moji Moji stand out from other apps is its attention to detail in translating input from the education community into a rich and immersive experience." A growing body of research indicates that if used appropriately, mobile devices can play a critical role in supporting young children's education. Developed in consultation with teachers and parents, Moji Moji develops early literacy fundamentals through tracing and spelling challenges that exercise children's motor, auditory, and phonics skills at varying difficulty levels, set in a vividly realized world designed by award-winning artists and animators. "We developed Moji Moji after a year traveling the world speaking with parents of young children about what was missing from both their educational experience and their relationship with technology," said Kenta Koga, founder and chief executive officer of Gakko, the education design studio that built Moji Moji. "The app is designed not just to revolutionize the way young children learn to read -- but also to demonstrate the power of meaningful screen time and expand access to high-quality education for a new generation of learners." Moji Moji is the first app developed by Gakko, which operates a portfolio of in-person and digital education programs designed to reclaim the magic of learning. Founded in 2011, Gakko operates a groundbreaking summer camp that brings together high school and college students from around the world, and will be opening its first permanent location in New York this spring. Gakko—meaning "school" in Japanese—is an education design studio that operates innovative learning programs around the world. Founded in Japan by Kenta Koga, Gakko emphasizes creativity and collaboration and creates practitioner-led, project-based learning experiences designed to ignite students' passion for learning. In addition to its groundbreaking summer camp and after school programs, Gakko has also built a suite of digital learning tools, including Moji Moji, an early literacy app for the iPad.